The Vantage Occasional collection is truly inspiring in its presentation and detail. 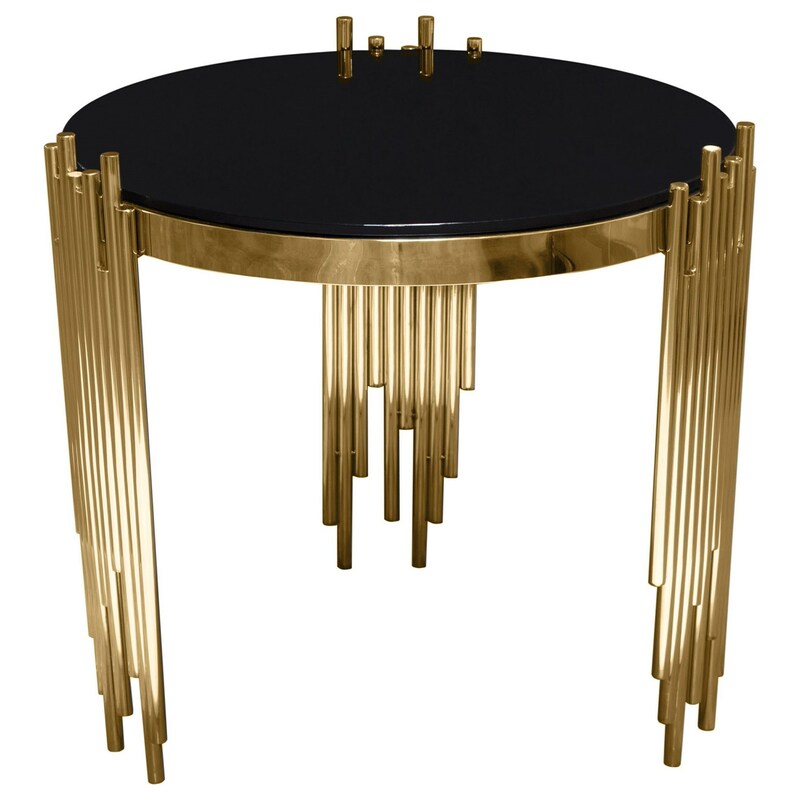 With its Black Tempered Glass Tops atop the striiking Gold or Silver Tube base, this one of kind collection will certainly capture your attention. Collection includes: Oval Cocktail Table & Round End Table. Base available in Gold or Silver. The Vantage End Table by Diamond Sofa at Red Knot in the Oahu, Honolulu, Kapolei, Pearlridge, Salt Lake, Hawaii area. Product availability may vary. Contact us for the most current availability on this product.